Progressive Grocer has been the voice of the food retail industry for over 95 years. 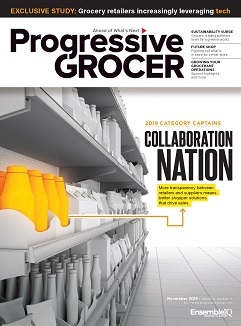 Serving the largest audience in the market, Progressive Grocer's readers are top management at headquarters and top decision-makers at store level. I would like to receive/continue to receive Progressive Grocer FREE of charge.